Hello Spring! The brutal winter finally came to an end and the Spring brings a season of plans and projects. With the warmer weather here, it’s time to revitalize our living spaces with the changing season. To kick off this season of plans and projects we are going to share 5 tips to liven up your space for springtime. Bring the Outside In: Add fresh blooms or a vase with greenery to your kitchen, bathroom, or dining room. Treat yourself weekly to cut flowers at the grocery store or add something a little more permanent for the season by bringing in a potted plant. Try sprucing it up with some succulents for something that lasts through the season. Tip: Cut all of the leaves off your flowers and cut the stems at an angle for longer lasting floral arrangements. Spring-Clean the Entryway: Spring-clean your entryway by keeping only your seasonally appropriate items within eye view. Heavy winter coats and boots can be put away and stored until next cold season. Swap out your heavy-duty winter doormats for lighter woven rugs. Bring Order to Your Countertops: It’s time to declutter the kitchen and the bathroom. 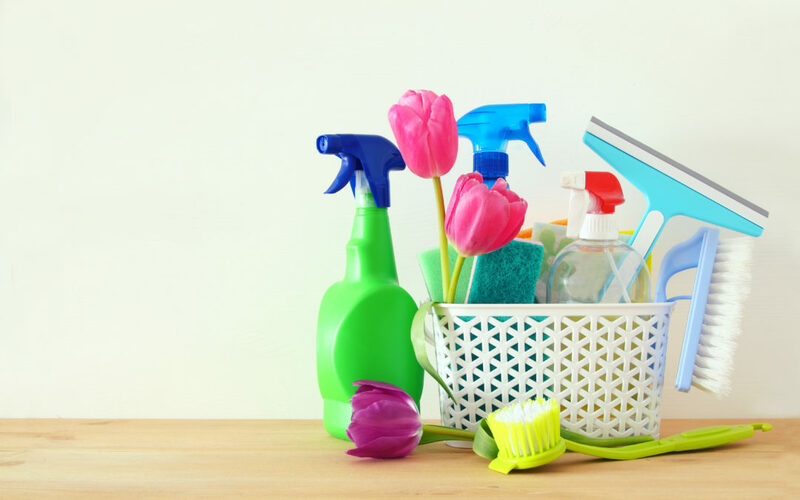 Start by removing everything from your countertops, disinfect the surfaces, and only return items that you use daily and store items you don’t often use. Swap Out Throw Pillows and Blankets: Retire your heavy wool and fur throws and pillows and replace them with lightweight fabrics like cotton and linen for a fresh new living room look. Pick lighter, sunnier colors as accents to give your space a breath of fresh air. Tip: Give your kitchen and bathroom a quick and easy color makeover with new hand towels. Clean Out a Junk Drawer: Spend five to ten minutes this week organizing a junk drawer in your home. Remove everything from the drawer, throw out everything that you no longer use and use drawer dividers to arrange and tidy up only your must-have items.